When it comes to enhancing your beautiful home or office in Boone, quality window treatments could be just what you're looking for. You can add style and class to the design aesthetics with beautiful shutters, blinds, shades, or drapes from Sweet Shutters and Shades. Our affordable, quality window coverings will go a long way to completing your space and enhancing your decor. We are a Charlotte shutter company who provides a free design consultation in Boone. We offer this free, no-obligation consultation so we can be sure you see how easy it is to shop for your Boone shutters or other window treatments. With the right choices, you can redecorate your space with ease with help from our expert design consultant. Whether you already know what you want or need help figuring out what will look best, our designer will meet you at your location and assist you wherever necessary. The Boone area is a great place to live. If you own a beautiful home in the Boone area, there is a shutter design perfectly suited for your home. Shutters come in an array of options, from wood to faux materials, differing stains, wood types, and interior or exterior styles. You can also find the best in other window treatments such as draperies for your Boone home at Sweet Shutters & Shades. Most of our window treatments can also be fitted with motorization and automation equipment that give you access to control the shutters remotely. You can open and close them with ease from anywhere with your smartphone or internet access. Real wood window blinds are wonderful because they bring in the natural quality of real wood, like premium basswood, maple, oak, or bamboo. Today's bamboo options have seen new levels of construction and finishes that give you wider options in wood colors. If you haven't seen the latest options in real wood window blinds, let us show them to you when we come to your location with our mobile showroom. 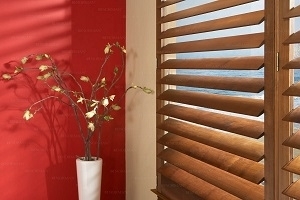 There's no better way to see your choices than in the area you'll have your window blinds installed! Quality window shades are made to last and made with quality materials that look beautiful. At Sweet Shutters & Shades, we can show you several types of window shades including black out shades, solar shades, honeycomb shades, woven shades, and more! We'll take accurate measurements as well so we can ensure easy installation later on. 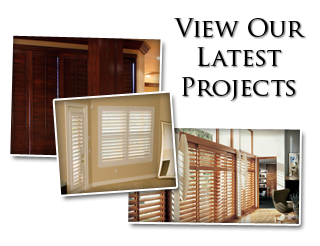 Our expert installers are available to install your shutters, window blinds, draperies, and other window treatments. We can also custom order or custom fit your odd shaped or sized windows. At Sweet Shutters & Shades, you'll have access to our 20 years of experience dressing windows with beautiful coverings in the North Carolina area, so if you're into what's "in" for our part of the country, you can't go wrong counting on our expert design advice! 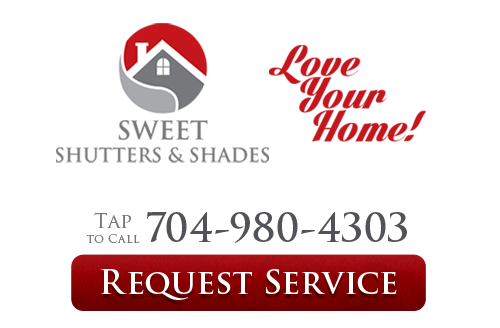 If you are looking for the best Shutters, Shades, & Blinds in Boone, NC, call 704-980-4303 for a free in-home design consultation or complete our online request form.